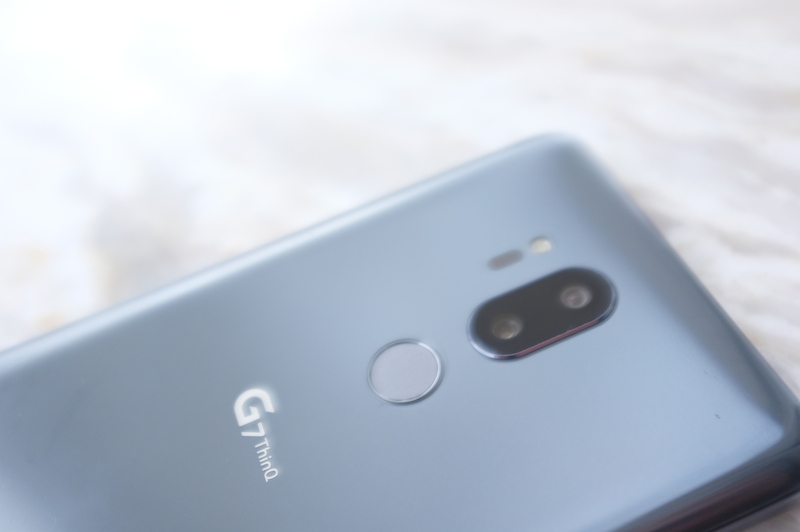 LG has done a really terrible job keeping the G7 ThinQ under wraps. But clearly the company doesn’t mind. Building up the hype cycle is clearly more important to the handset maker than any kind of big reveal. In addition to leaked images from nearly every angle, the company has already issued several official press releases ahead of today’s big unveil in New York. As numerous photos have already suggested, LG’s the latest company to go all in on the notch. There’s a big one up top that will no doubt evoke Apple’s new flagship for many users — though the G7’s cutout is smaller than the iPhone’s, and the curved bottom bezel is a bit larger. In a prebrief ahead of today’s announcement, a spokesperson for the company said LG anticipates that the notch will be a fact of life on high-end handsets for the next one and a half or two years, as phone makers work to figure out the ideal solution for going full screen. A display manufacturer itself, the company floated its own flexible display tech as a potential workable solution. LG’s settling on this as the latest iteration of the “second screen” feature found on the V20. Here, however, that refers to FullVision — essentially an optional black bar that sits on either side of the notch, creating the appearance of a flush top bezel. Notch aside, the screen is a 6.1-inch QHD+, which works pretty well in sunlight, courtesy of a boost button. LG’s also put some effort into the phone’s speakers, which, until recently, have been one of the most overlooked pieces of most phones. These get really loud — in a demo, we were able to hear music pretty clearly played across the room. The real centerpiece is, as the name suggests, ThinQ. That’s the AI camera the company introduced at MWC with the latest iteration of the V30S. It’s a neat feature that’s some combination of flashy gimmick and genuinely useful feature. Essentially the system utilizes AI features to identify what it’s shooting and adjust accordingly. It also shows its work in the process, flashing seemingly random words on screen as it attempts to figure out what it’s looking at. 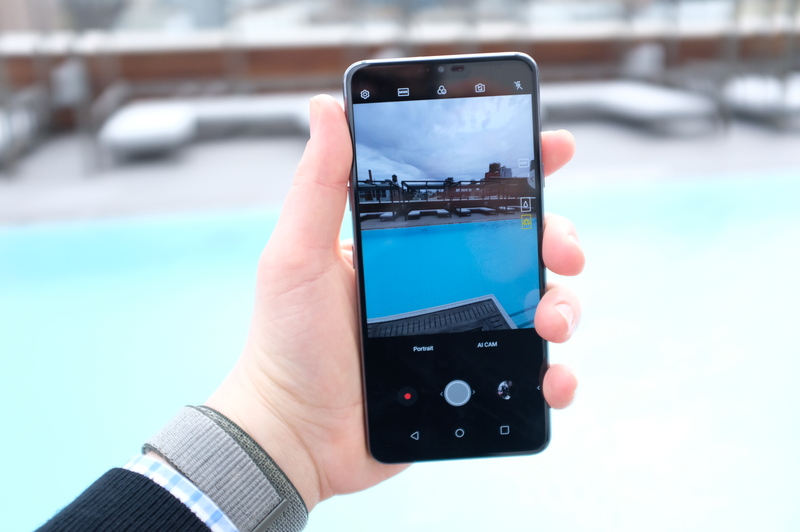 Of note is the low-light camera, which “increases the brightness of each shot.” It’s not really on the level of Huawei’s latest offering, and does appear to still include a fair amount of noise on dark shots, however. The handset also gets a Portrait Mode, which brings a familiar approximation of the bokeh effect, introducing blur in the background to help frame the subject. Like Samsung’s offering, the effect can be adjusted after the fact. The handset has a devoted side button, dedicated to Google Assistant. LG has no plans to let users assign different features, but will do so if enough users request it. Built-in far-field voice technology also helps Assistant hear voices in a noisy setting.